Get good deals on Nakuru accommodation. Hotels in Nakuru range from cheap, middle class to luxury. Lodges and resorts are also available for holiday travelers. 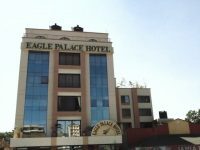 Read detailed information to help you find Nakuru hotels that suite you preference and budget. Including but not limited to room rates, booking details, contacts information, reviews, location, photos, facilities and services offered. Most of them offer facilities like gyms, restaurants, bars, conference. Guest houses & bed and breakfast are other options for your accommodation during travel to this capital of Kenya’s Rift valley province. Major tourists’ attraction centre in this region is Lake Nakuru National Park. The lake is popular for its Flamingoes.